1. 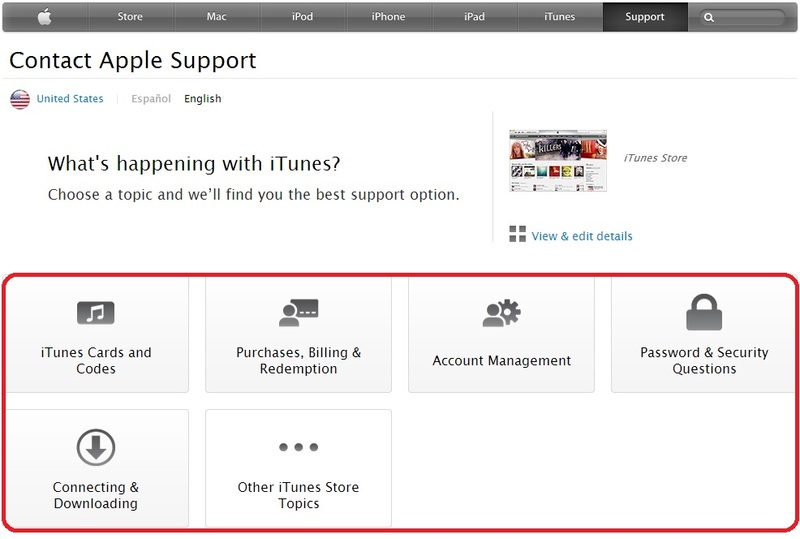 After opening the link above, choose Contact iTunes Store support. 2. 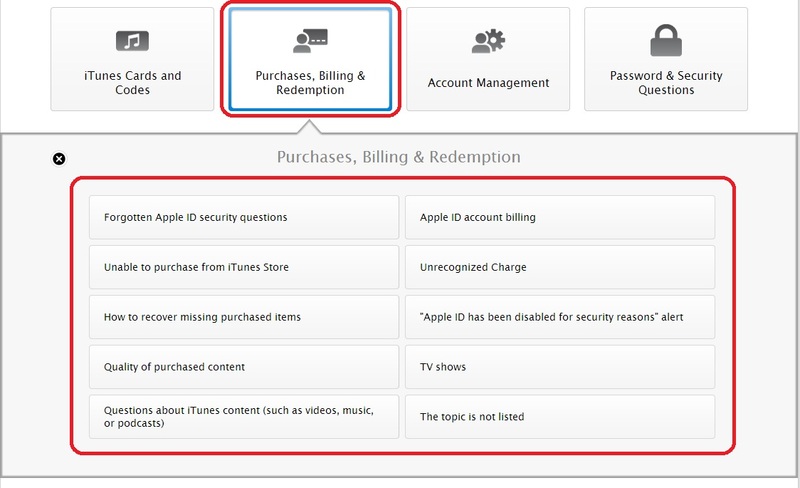 On the next page, choose a category or topic of your concern. 3. After picking a topic or category, you will see a drop-down of another specific topics to narrow down your concern. You will be able to see this as a sample. 4. 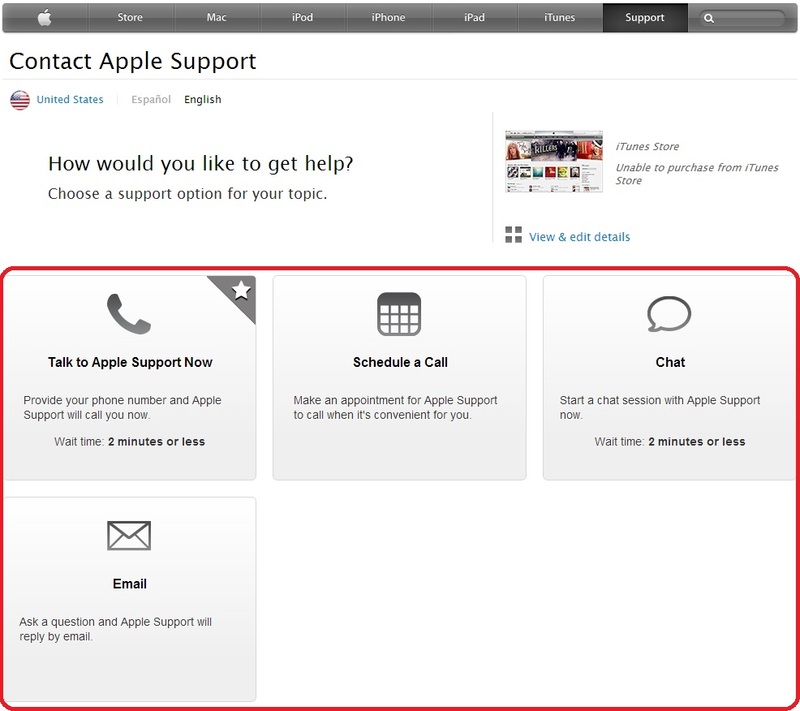 Upon choosing a narrowed down topic of your concern, you will now be able to choose which way or manney of contacting the iTunes Support based on your preference. 5. 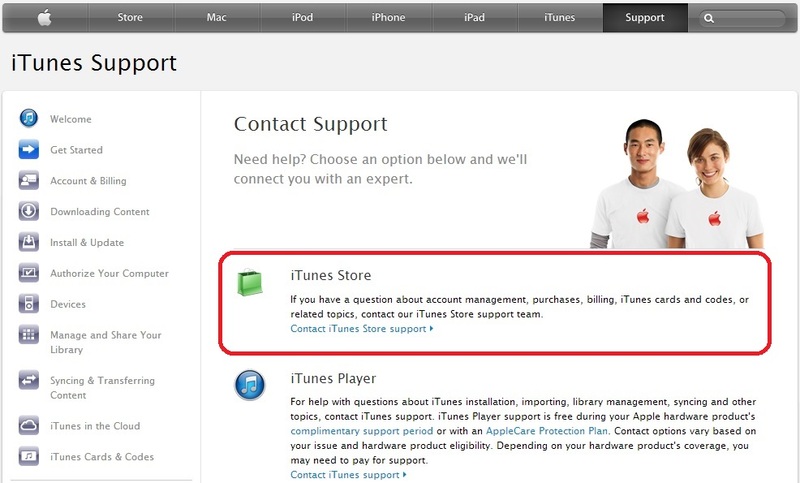 As an advise from us if your concern is not in the list given in the site, it is best that you contact iTunes Support via Email.